So I'm sitting here at my computer trying to look up the symptoms for Trench Foot and Diphtheria as I am almost certain I have these and many other World War I illnesses...I could be wrong though. This weekend Team Grandpa's Pride made the long trek of three miles to compete at the Marianna Arts Festival, and this was our first dealings with rain. And by rain I mean torrential flooding and rains. The type of rain spoken about in the Bible and seen in countries where the words 'monsoon' and 'I just saw a Chevy sink up to the cab' are used pretty regularly. You know the type. Luckily, I listened to the voices in my head for once and we decided to set up early. Thankfully we got set up just as the rains set in. It rained, and rained, and rained up until about 12:30 a.m. Mercifully, the skies cleared, the rain left, and it was a beautiful day; however, what was left under our canopies was a mud bog. The kind of mud bog people with four wheelers or a big truck with tires that cost more than the truck look for. The kind of mud bog that used to trap large mammals which later became fossils. I'm certain at one point I saw a little green guy wearing a raggedy tunic hobble by and say, "BBQ you must." Again, I could be wrong. Once we adapted to the rain and mud, we moved along nicely. I will say with all sincerity, this was the best we have done in any competition. I don't know where we landed yet as there was some computer glitch that would not allow the F.B.A. to process the brisket scores. I do know we didn't finish in the top 10 in chicken, ribs, or pork. Other than that, I'm like everyone else in awaiting the scores. I will post the photos of our turn in boxes. There were a total of 27 teams at this competition with Will Stanton of Q-Fused getting a couple of call outs as well as Mr. Cook of Cook's Portable Smokehouse along with Mr. Lovette of Poolside BBQ getting 1st in pork. 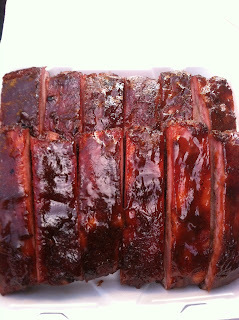 Big Kahuna BBQ was doing pretty well too. There were many memorable moments of this contest. Primarily when my left shoe decided to fall completely apart while traipsing through our little mud bog. 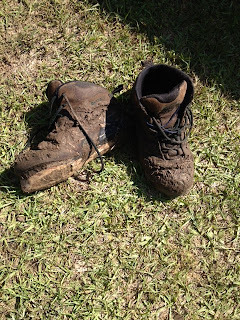 Luckily for me, I had already decided to put on dry socks and then put my dry-socked feet into zip top bags to keep the moisture of the muddy boot from getting to my feet. It was that kind of day folks. One guy said he even went to Wal-Mart and bought a pair of rubber boots late Friday night. It was just that muddy. Between the mud, the zip lock bags poking out of my boots, my general disheveled appearance, and the crazed look in my eyes, mothers were pulling their kids close to them as I walked to the bathrooms telling the kids, "Don't stare at the strange man honey." One lady asked me if I was hungry and needed some money. I should have taken her up on it because apparently that was the only way I was getting any money at this festival. The competition was really good, and there were a lot of really good teams at the Marianna Arts Festival. We even had a helper on this one. Brandon Wright wanted to learn about BBQ and for some reason thought I was a good choice for information. I hope he enjoyed himself because I know we appreciated all his hard work. I bet he will dream about emptying the 5-gallon buckets for our sink drainage for weeks. For Christmas, I'm going to find him a 10-gallon bucket. That's the kind of guy I am....I'm a giver. We were not without other casualties though. The Frankensmoker Mk. 2.1 lost its two back wheels and the support frame cracked so there will be repairs. Stay tuned for the Mk. 2.2. 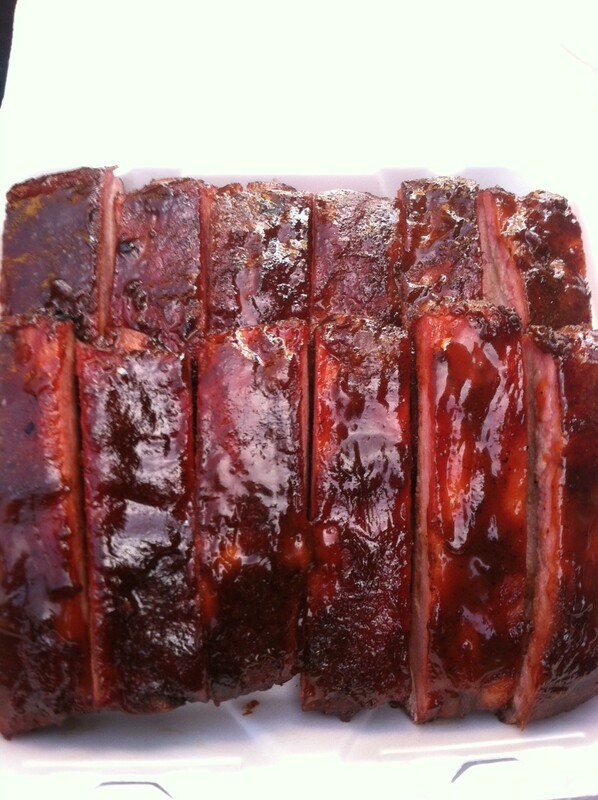 Our next foray into competitive BBQ will be in Bainbridge, GA at the 1st Annual Smoke Under the Oaks BBQ Competition which will be held in August. How hot could it possibly be? South Georgia...August. Should be fine. Anyway, maybe by then I will have a new pair of boots and bit more experience under my belt. I wonder if anyone has ever done a BBQ competition in a speed-o? I could be the first.....and the last I'm sure. Anyway, y'all take care and Riley says hello. 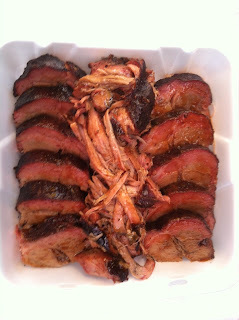 By the way, if you like this blog or have an idea of a place to review the BBQ, please be kind and leave a comment. Thanks. 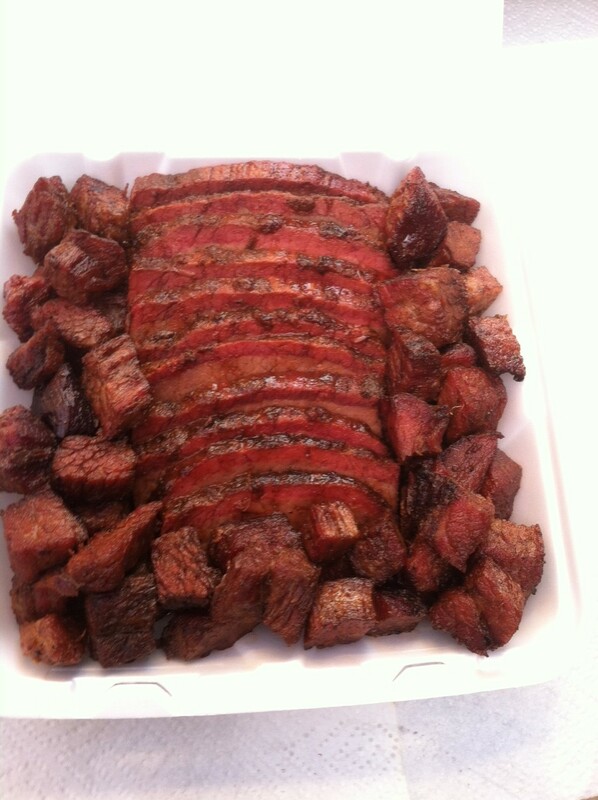 UPDATE: Congratulations to Big Kahuna for taking Grand and Cook's Portable Smokehouse for taking reserve. We finished 22 out of 26 which really surprised me. Goes to show there was a lot of good cook teams there last weekend. How hot will it be Bainbridge, GA in August? The Alan Jackson song Chattahoochee comes to mind. "It gets hotter than a hoochie coochie". 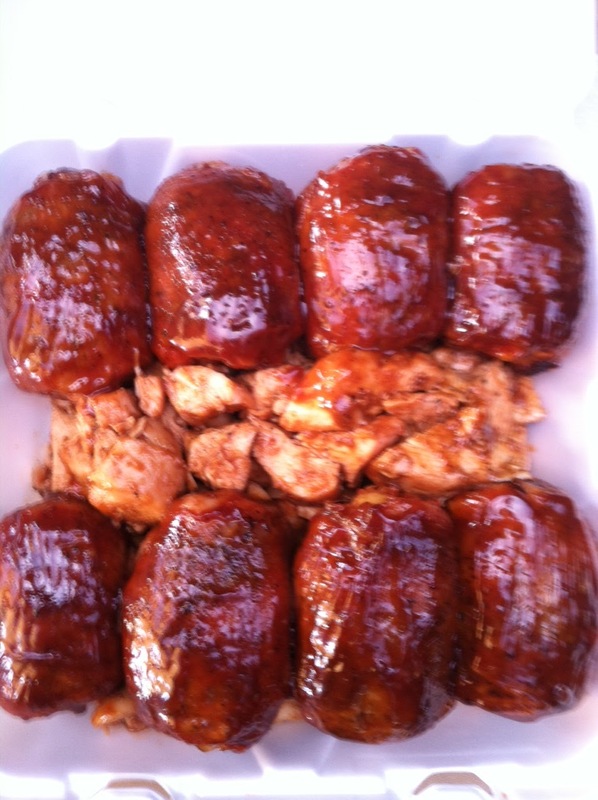 Although, it might not be the heat that will be most bothersome, I mean BBQ competition, you must be use to some heat! I think those pesky South Georgia gnats will enjoy a good BBQ! Good Luck! Thanks. The heat is fine, but like you said it will be the gnats that will be bothersome. Thanks for the read/comment.